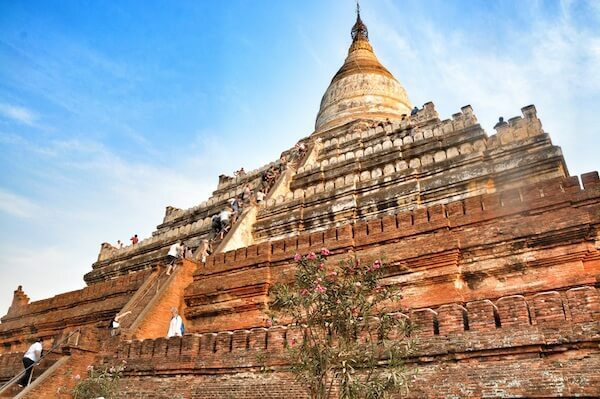 Enjoy a Bagan travel to visit some attractions in Salay, especially the Mount Popa. Take local experience when visiting the local people at their villages. 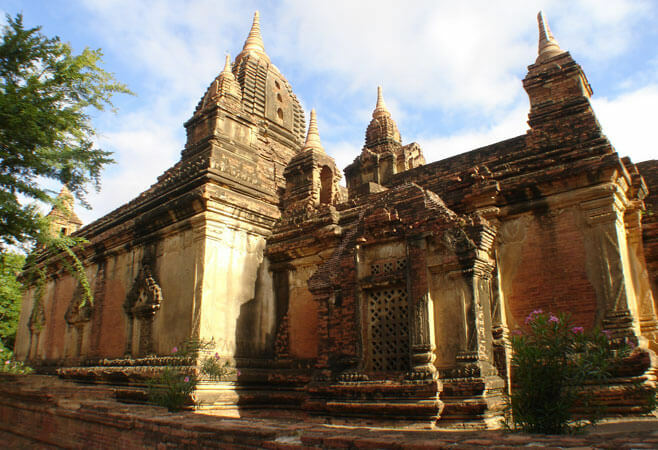 Discover the ancient temples scattering around Bagan and learn about their history. 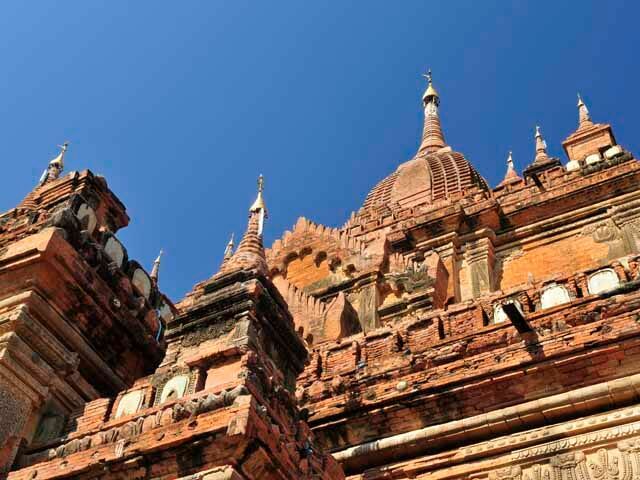 Let’s join us in the 3-day tour and explore Bagan, the mysterious ancientness hidden in the Golden Land of Myanmar. We will not miss chance to visit the highlighted pagodas where you feel as you are visiting the past, and the peaceful villages housing the friendly people. 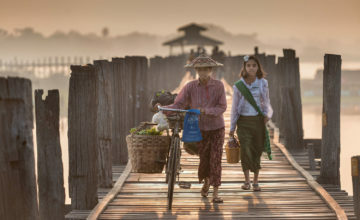 Upon arrival in Bagan, our guide and driver will pick you up at Nyaung U Airport to start to visit the bustling Nyaung U Market in Old Bagan and visit the village to see the lively life in the morning. 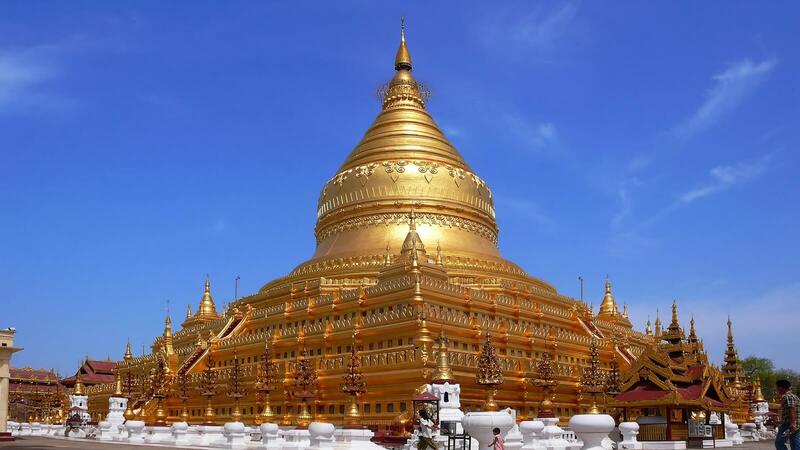 Explore the beauty and gold leaf Shwezigon Pagoda nearby and furthermore, learn about Burmese Buddhist traditions. Continue to visit Htilominlo Temple – three stories tall, with a height of 46 metres and built with red brick. It is also known for its elaborate plaster moldings. On the first floor of the temple, there are four Buddhas that face each direction. 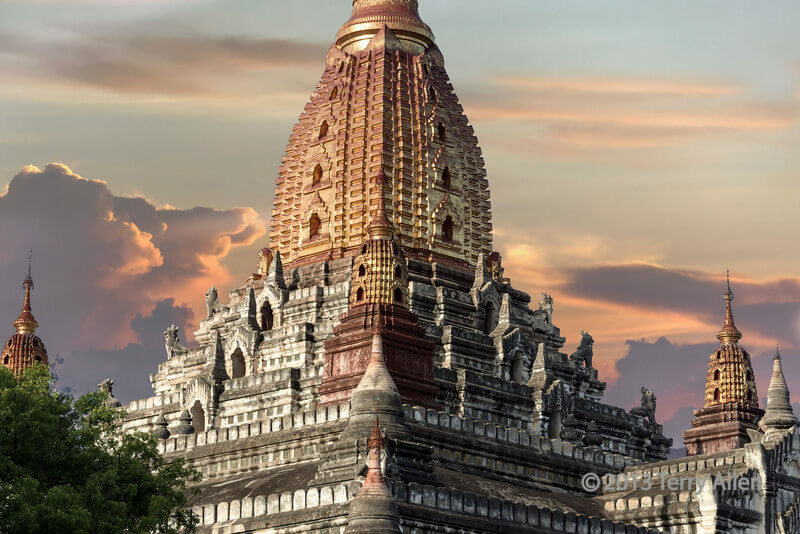 Then, you visit Ananda Temple, stop along the way on the Bagan plains to admire some of the surrounding temples. 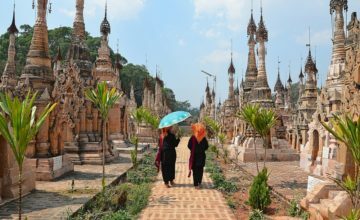 The temple layout is in a cruciform with several terraces leading to a small pagoda at the top covered by an umbrella known as hti, which is the name of the umbrella or top ornament found in almost all pagodas in Myanmar. End of the day, we visit the second highest pagoda of Bagan, the Shwesandaw Pagoda. The pagoda contains a series of five terraces, topped with a cylindrical stupa, which has a bejeweled umbrella. In the afternoon, transfer back to your hotel to relax. At the start of the day 8.30AM, visit the Sulamani Temple near Minnathu Village, built in the 12th century this temple design is quite intricate with elaborative carving and fascinating murals. 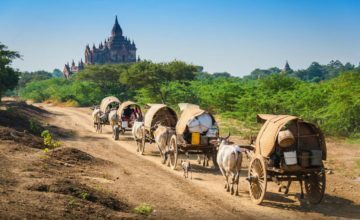 Make some stops to visit some famous monuments like visit other famous temples in Bagan such as Dhammayangyi Temple – the largest of all the temples in Bagan, the Dhammayan as it is popularly known was built during the reign of King Narathu. Make a stop at Myinkabar village, to enjoy the lacquer ware shop and witness the artistry and process of making these delicate products. Around the village, if time allows you can make visit to some famous monuments such as: Gubyaukgyi Temple and admire the fine stuccowork, Nanpaya Temple – Mon style particular with intricate stone carvings Manuha Pagoda with the huge Buddha images, Stupa with the Myanmar’s “Rosetta Stone”. 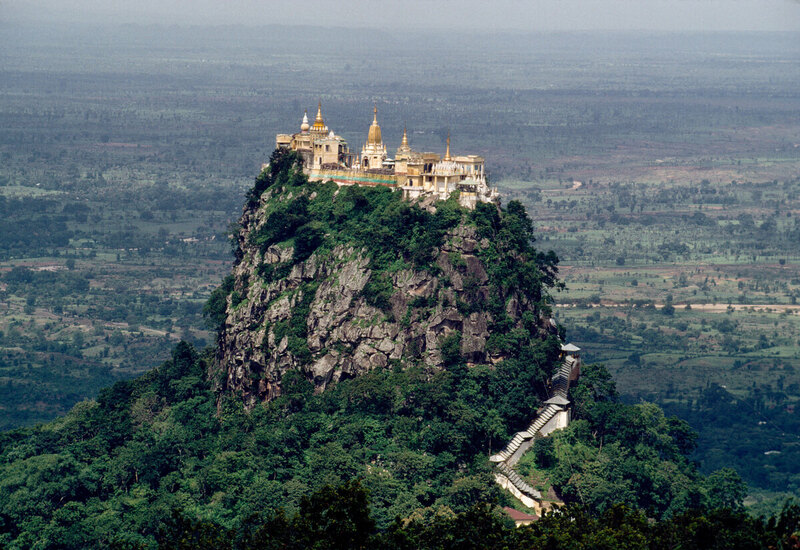 At 08.30AM, after breakfast, you’ll make your way break from Taung Kalat, a Buddhist monastery which is perched on top of Mount Popa, an extinct volcano standing 1518 metres high Mount Popa has played an important role in Myanmar culture, religion and history since earliest times. Its shrine is dedicated to the worship of the 37 Nats, the Burmese ancient animist spirits. Learn about nats and nat worship as you climb the stairs to the top with your local guide. The view over the Myingyan Plain from the top of the volcanic peak is impressive. We will take you either to your hotel in Bagan to relax or the airport for your flight out of Bagan. Please contact us for further plan after day 3. Thank you for your interest in Highlights of Bagan. Please fill in your details below and we will contact you by phone or email within 24 hours.